Sometimes I forget I’m not superwoman. 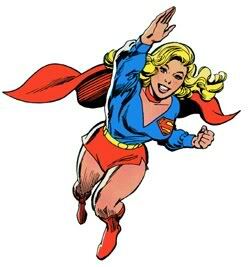 I know, I know, it’s often hard to tell the difference, what with my cape and lycra suit that I always wear, but the truth, sadly, is that despite what I may think, i can only channel my inner superwoman for so long. So, it was a sunny day with no pressing plans and I decided it was the perfect day for painting. Seeing as patience is still not one of my virtues, when I decide to paint, it doesn’t mean go browse the paint colors in the hardware store and then come home to choose a color, saving the actual painting for another day. No, no – not for superwoman. I visit the hardware store, and give myself points for actually taking paint swatches home instead of trying to pick one spur of the moment. So there’s a brief visit home before I’m back at the hardware store armed with my choices along with brushes and tape for the edges which is still in it’s packaging at this moment even though the painting is completed. Now, even just choosing the colors on my own earns me bonus points seeing as I’m not always such a good judge of what goes together, and it was one of those moments where I had to fight the urge to send pictures of the paint swatches to my mom because, let’s face it – she really does have superpowers. But I am superwoman. There’s no calling mommy when you’re superwoman! Upon returning home, I put the newspaper down on the floor, changed into old pjs, and dipped my roller into the paint. The possibilities were endless – where to paint? Which wall? How many cabinets? Today, I became a painter, a handyman (woman!! Be politically correct! ), mover, and cleaner…essentially, superwoman. And now I sit, staring at my buttercream yellow accent wall and admiring the kitchen cabinets, freshly painted, that match perfectly. We’ll ignore the paint fumes that are seeping into my brain, and just sit back with satisfaction. (More bonus points for not attempting to also paint my bedroom due to realizing that sleeping in a freshly painted room might kill more brain cells than I have to spare.) There is no paint on the hardwood floors (who knew that windex gets out paint?) and the cabinets don’t seem to be too stuck when I try to open them. Here’s to hoping that my landlord appreciates the beauty of buttercream yellow seeing as waiting to ask his permission wasn’t exactly factored in to the day’s agenda…I’m sure he won’t mind…I hope. So yes, it looks beautiful and I’m a happy camper. I’m also so exhausted that I’ve been sitting on the couch for the past hour just staring at the wall. Perhaps toting the cabinet that I found on the side of the road while taking out the trash was a bit too much… Superwoman has come and gone, and now, I’m just a girl sitting in paint-splattered flannel pants trying to muster the strength to go take a shower. But for a couple of hours, my super-hero cape was flapping in the wind. And that’s enough for me – we’ll jot down today as a success. And perhaps we’ll save painting the bedroom for next weekend because let’s face it, I seem to have misplaced my superpowers for the moment.